Within each forum you will find topics. 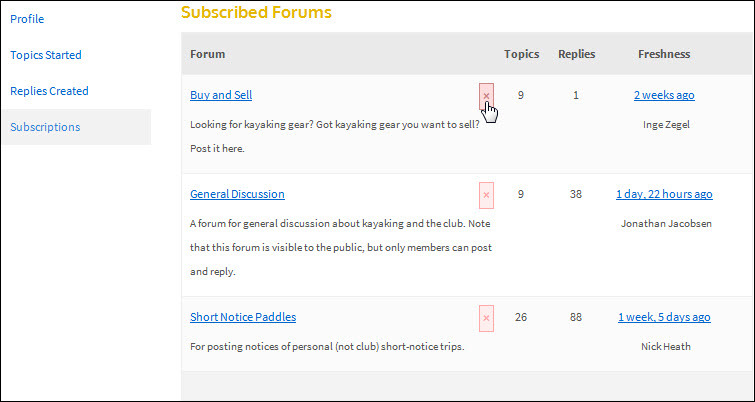 The list of topics in a forum will grow as more members use the forums. Over time, a forum can become a valuable source of information. Not sure how to post something? See Posting and replying to a forum for detailed instructions. For example, on the General Discussion forum, someone might ask for tips or information about a destination for a kayak trip they are planning. 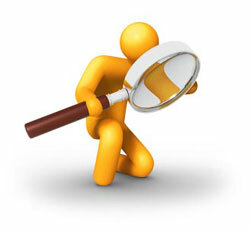 Other members can then reply to a topic and provide their ideas and information, and a conversation is built. This information stays on the forum and can be of use to other people at a later time as well. Rather than have one long conversation with replies that stray into different subjects, start a new topic for a new subject. It's easier to scan a forum with clear topics than getting bogged down weeding through a long list of unrelated replies. Why have forums?We created forums to make it easier for SKABC members to connect, ask questions, share information and draw on the experience and knowledge of fellow members. Of course you can do this in person at a meeting or on a trip, but not everyone always makes it to the meetings or goes on the same trips as you do. Forums make it easy to ask a question at any time. As a member of SKABC you are automatically subscribed to the forums. This means that any time someone creates a new topic in a forum, you'll receive an email. If a topic is of particular interest to you, you can subscribe to that topic as well. In that case, you will also get an email anytime someone replies to the topic. You can unsubscribe from a forum or topic at anytime. If you unsubscribed, you can subscribe again at anytime. For details, see Subscribing and unsubscribing. Posting to a forum or replying to a post are fairly straight forward. But if you're new to forums and not sure what it's all about, refer to the following procedures. Log in to the SKABC website and go to the forum you want (for example, the Buy & Sell). 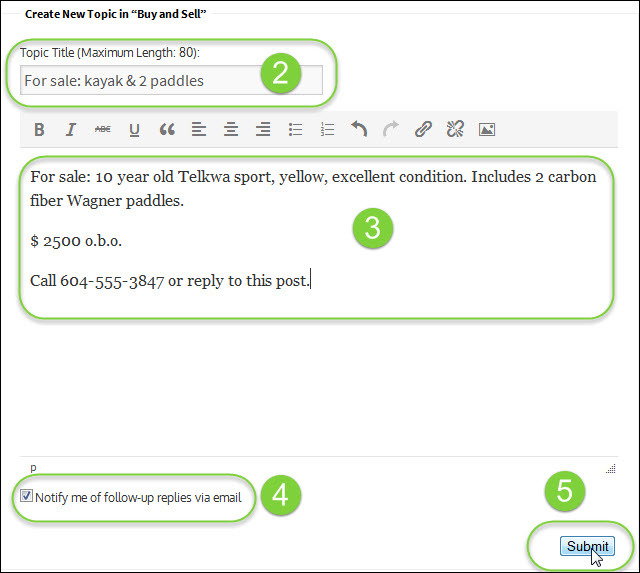 Go to the bottom of the page and in the Topic Title box, type a title for your post (for example, For Sale: kayak & 2 paddles). Click in the text box below the title and type your message. Make sure that the option Notify me of follow-up replies via email is selected. You can reply to a topic (i.e., to the original question asked) and you can reply-to-a-reply, just like in a regular conversation. The procedures are very similar. Log in to the SKABC website, go to the forum you want, and double-click the topic to which you want to reply. You can only edit a topic that you posted; you cannot edit other people's topics. Log in, go the the forum you want, then find the topic you want to edit. 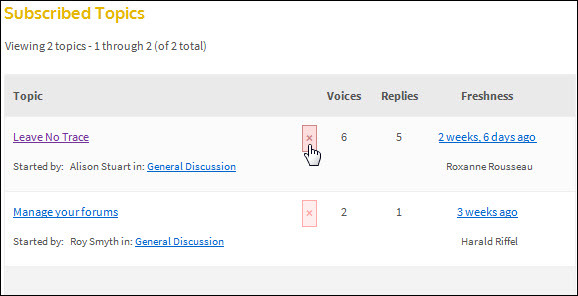 Click the Edit button in the top right corner of the topic. Make the necessary changes and then click Submit. You can only delete a topic that you posted; you cannot delete other people's topics. 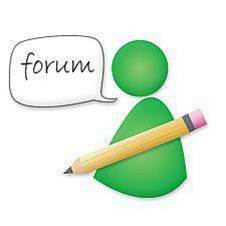 Use the following steps to delete a forum topic. For example, if you posted a topic on the Buy & Sell forum and have sold the advertised item, we recommend you delete the topic. You can only delete a topic that you posted; you cannot delete other people's topics. Log in, go to the forum you want, then go to the topic you want to delete. As a SKABC member you are automatically subscribed to the forums when you join or renew your membership. Use the procedures below to change your subscription setting as you like. You can unsubscribe from a forum, or a topic in a forum, at any time. f you don't want to be notified about new topics in a forum, you can unsubscribe from a forum at any time. If you subscribed to topic a forum, you can also unsubscribe from that topic. Log in to the website and go to the forum you want, then click the Unsubscribe link in the top right. Log into the website and go to the forum containing the topic you want, double-click the topic, then click the Unsubscribe link in the top right. Log in to the website and go to the Forums menu, then click Manage My Forums. Click the red X beside the forum(s) or topic(s) you want to unsubscribe from. If you are a SKABC member you are automatically subscribed to the forums when you join or renew your membership. If you unsubscribed from a forum, you can subscribe again by going to the forum, and then clicking the Subscribe link in the top right corner. Log in to the website and go to the forum you want. Double-click the topic you want and click Subscribe.